[email protected]_only on It's Animorphin' time! Np! I'm the only guy in my play group who runs morph, so I'm used to dealing with wierd shinanery, and love helping others do the same! Important note for morph - it is considered a state-based effect, rather than an activated ability. This means that if someone activates a spell with split second, you can still morph in response, as the "when this card turns face up" is triggered, rather than activated. Willbender recks Sudden Spoiling on so many levels it wasn't even fair. Biggest issue I see here is a lack of focus and not enough creatures for a creatures only matter deck. 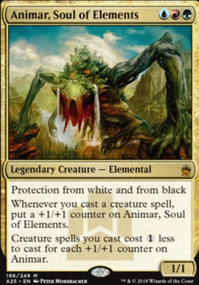 Animar, Soul of Elements wants two main things: Cast creatures and get +1/+1 counters to cast larger creatures. Everything in the deck should be focused on those two goals. Cast game ending creatures for cheap or free. Draw cards to allow us to do 1 through 4. Priority should be given to cards that does something now > does something before your next turn > does something on your next turn > does something eventually. 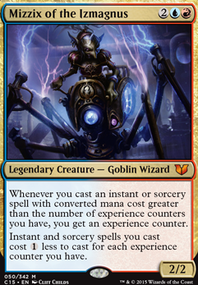 Because Animar offers a discount based on creatures played, the deck shouldn't be filled with only high cmc game enders, but creatures from low to high cmc, preferably with as little colored mana symbols as possible, to give the deck a natural progression to casting free or cheap high cmc game ending creatures. Let's split the deck into 3 parts. Pre-Animar setup, Post-Animar setup, Finale. Unnecessary on a computer, very helpful on a phone. This section will be all ramp, and protection to get Animar out quickly and make sure he is secure. - The land base should be arranged to where there is more emphasis on , then , then since can color fix and can offer protection. - Exotic Orchard is pretty good and cheap and can usually offer every color in multiplayer, especially if an opponent has a Command Tower out or even a Vivid Grove without even needing charge counters. - Kazoo lands such as Simic Growth Chamber, Izzet Boilerworks, and Gruul Turf are good in casual EDH where there is lack of land destruction and they artifically increase your deck ammount by posing as two lands in one. 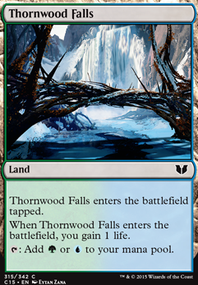 Though overall you do not want too many tap lands as you'll constantly be a entire turn behind. - Bloom Tender creature ramp. !$! - Elvish Visionary a better, creature version of Aggressive Urge for this deck. This section will be about setting up our board state to win. All cards from this point onwards will be casted after Animar has been casted. - Scourge of the Throne Depending on the situation, can be deadly. !$! - Palinchron So expensive, yet so infinite mana. !$! This section will be about ending the game with giant behemoths. - Kozilek, Butcher of Truth Card Draw, Mill Protection and Devastating power. !$! - Ulamog, the Infinite Gyre Vindicate, Mill Protection and Devastating power. !$! - Blightsteel Colossus Not something people want to see cast for 0 or worse, cloned. !$! jessniem those three are definitely all-stars. Other all stars are the untappers like Murkfiend Liege and Quest for Renewal. I love this deck, lots of moving parts and choices to be made, and lots of options and interaction. The downside is it's obviously not super aggressive when it comes to ending the game. Things like Willbreaker and Dismiss into Dream are basically mandatory just so you can control the board enough to close out the game. I also recently made a Primal Surge deck (with a different commander but the principal is the same). 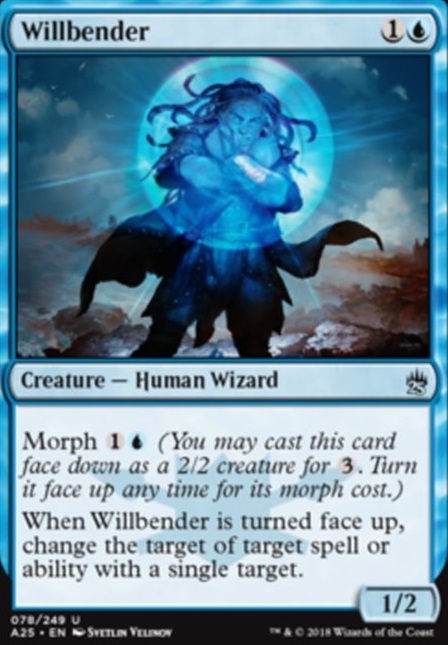 Since you don't have instant or sorceries you might want to consider morph spells like Willbender or Stratus Dancer. Laboratory Maniac + Primal Surge + any card that draws a card is my main win condition, if that helps at all. Lower your CMC on ramp spells. For example replace Explosive Vegetation with Nature's Lore and Kodama's reach with Farseek and maybe add Rampant Growth. 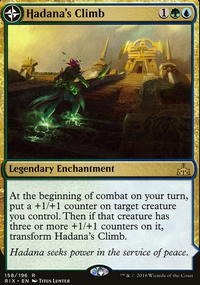 As described in the Command Zone primer, you want to get Animar out as soon as possible, so low cost ramp means you get to spend it mostly on turns 2-3. Replace evacuation with Cyclonic Rift. It is universally better. Den Protector to get stuff from the grave! So good. Also I think your land count is too high. I'd drop at least 35 personally, cause even if you're drawing cards later in the game, lands are dead in your hand, especially since Animar psuedo-ramps you. That is it for now and I hope I have been helpful! If you need more ideas you can also check my list in my page, "Its all natural"